We are recognized as the prominent manufacturer and supplier of a wide array of Oil Expeller (Deluxe Series). 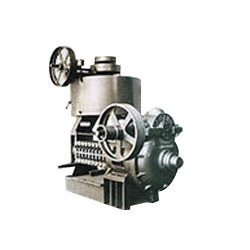 Our offered expeller is precisely designed for cold crushing of cotton seed, coconut and mustard. In line with set industry standards, this expeller is manufactured by our dexterous professionals using premium quality components and sophisticated technology. To ensure its flawlessness, this expeller is carefully tested by the quality controllers on various parameters. Moreover, clients can purchase this expeller from us at nominal prices. Incepted in the year 1965, we “Ludhiana Expeller Industries” are known as the reputed manufacturer, exporter and supplier of premium quality range of Oil Expeller, Double Gear Oil Expeller, Baby Oil Expeller, Filter Press, Baby Boiler, Copra Cutter, Groundnut Decorticator, Oil Refinery Tank, etc. Located in Ludhiana (Punjab, India), we are backed by a technologically advanced infrastructural set up that is supervised by our experts. It is divided into several departments like procurement, manufacturing, quality control, sales and marketing, etc. Equipped with the advanced tools and machinery, this infrastructural unit helps us to provide this range to clients as per their exact demands. In order to ensure hassle free production process, our installed tools and machines are checked and updated at regular basis. We provide the entire product range in several technical specifications as per the demands of our clients. All our products are marketed under the brand name "VIJAI". Also we are exporting in Uganda, South Africa, Nigeria, Senegal, Ghana, Ivory Coast and African Continents.